The of the library seems antiquated in the days of Kindles and Facebook. For those of us who are not in school, the reasons for us to visit the library have probably shrunk over the last decade. Despite this, a great library extends far beyond the reach of its content. The space itself becomes a temple. A place of quiet exploration, a place of calm, and a place of learning. 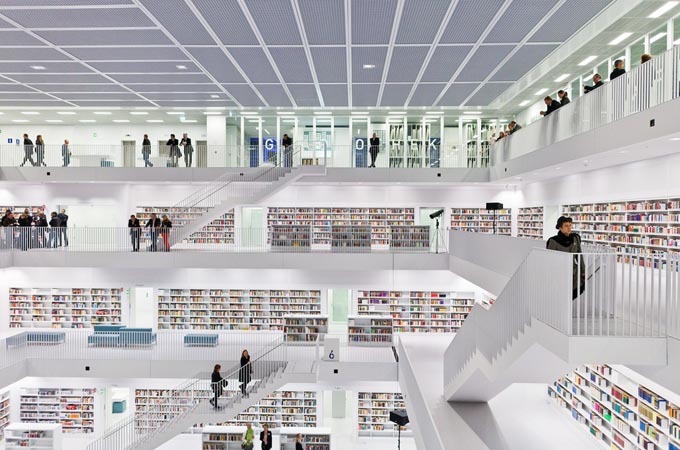 There are a wealth of amazing libraries throughout the world, here are five that are visually stunning. Just opened in November of 2011, the building of the 80-million Euro (about $108 mil. US) Stadtbibliothek am Mailänder Platz began three years ago. Korean architect Eun Young Yi has created a monolithic cube with two floors underground and nine above. Essentially all of the building, both inside and out is white. 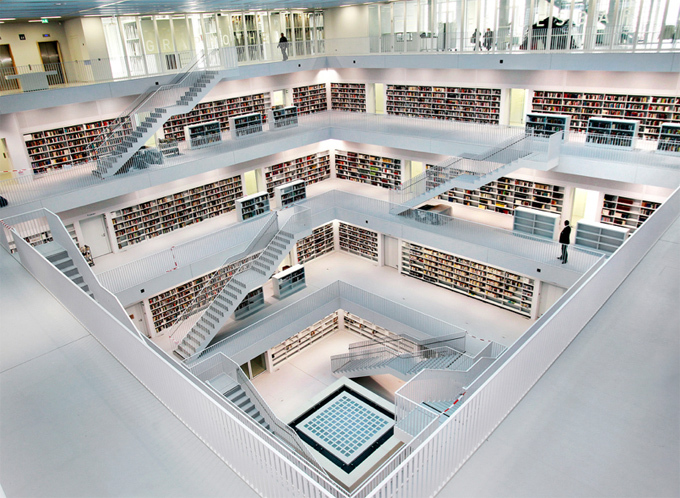 The main library floors circle an open-plan with the levels connected by open staircases. Books line the outer walls of each floor. As a cool nod to the fact that the building is a storehouse of words, the word “library” is installed in four languages on the outside walls. On the North wall in German (the local language), West in English (lingua franca), South in Arabic (the language of ancient knowledge and of Stuttgart’s sister city, Cairo) and East in Korean (Yi’s native language). 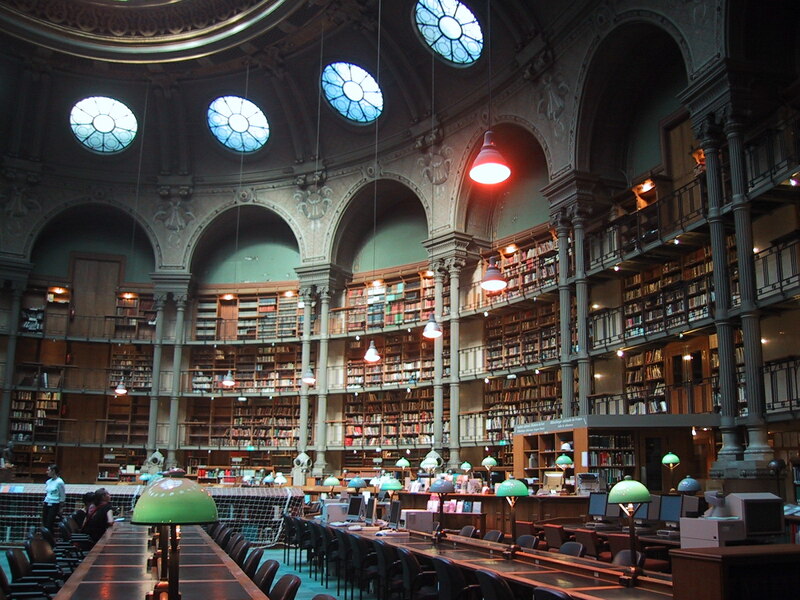 The National Library of France traces its origin to the royal library founded at the Louvre by Charles V in 1368. It expanded under Louis XIV and opened to the public in 1692. The city’s library maintains an enormous older building (shown in photos) as well as an expanded modern wing, which was built in the late 1980s. 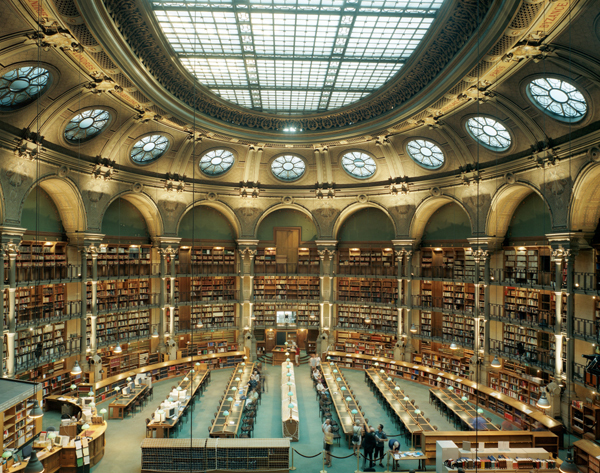 The library serves a population of over 2 million people, and is a remarkable example of École des Beaux Arts school of architecture. 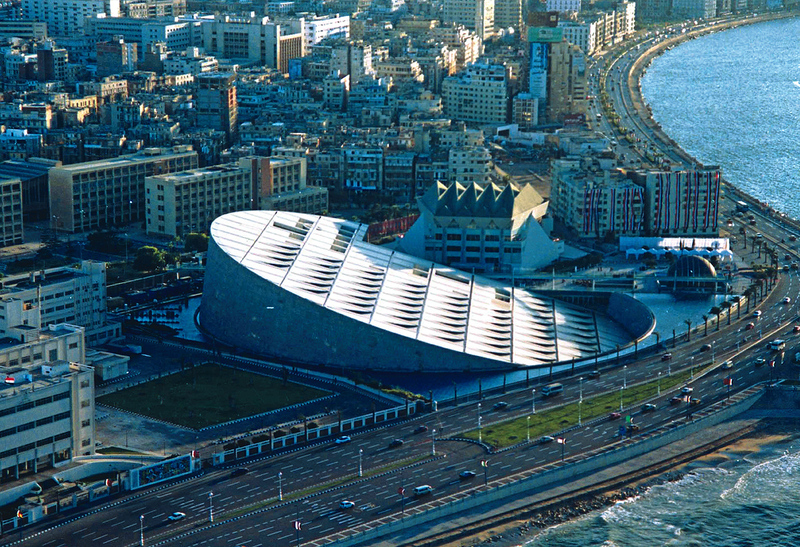 Egypt’s second largest city, Alexandria is also one of the oldest in the world. Often known as simply the Egyptian library, the cultural centre is located on the seashore of the Mediterranean in the city of Alexandria. 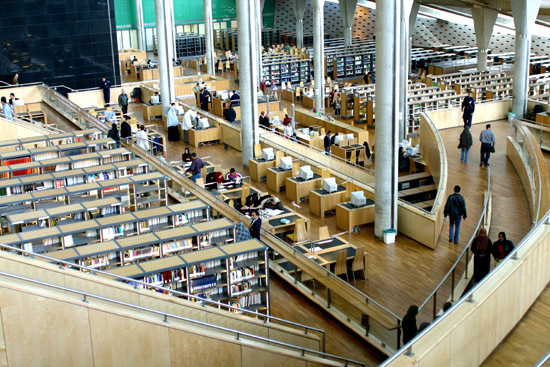 The library is the memorial of the Royal Library of Alexandria destroyed in Ancient times and the modern research and educational centre at the same time. Shaped like a disc, inspired by the rising sun, this modern building was completed in 2002. Located very close to the site of the ancient library of Alexandria, which was the predecessor for all libraries today. Indeed, some of its famous alumni include geometry whiz Euclid and the library’s third director Eratosthenes, who proved the earth is a sphere centuries before Columbus sailed to the Americas. Others included mathema-tician Archimedes, Herophilus, who advanced medicine with dissections of the human body, and Aristarchus, an early promoter of the idea that the earth revolved around the sun. 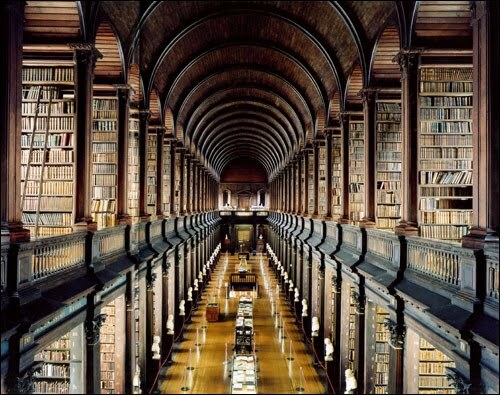 The ancient library existed from 290 B.C. to 415 C.E. Today, the modern successor is a bold space, rising 11 stories, with four of them underground. 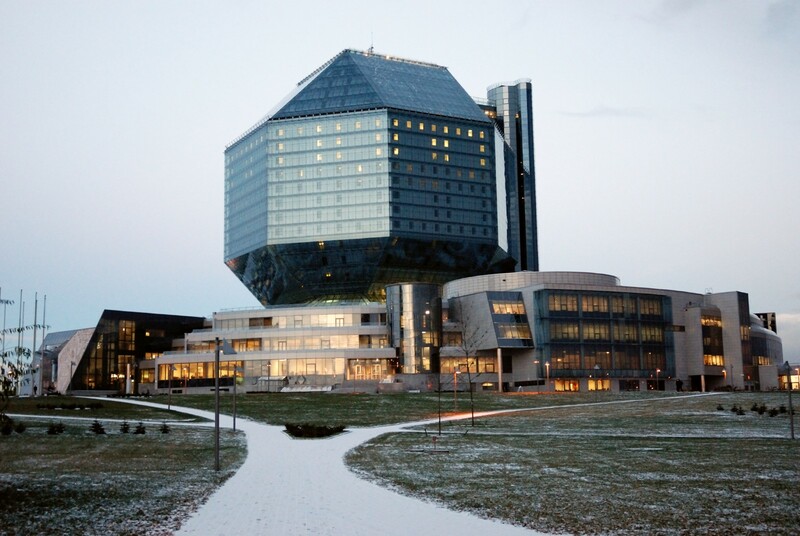 Located in Minsk, the National Library of Belarus cannot be criticized for being conservative. 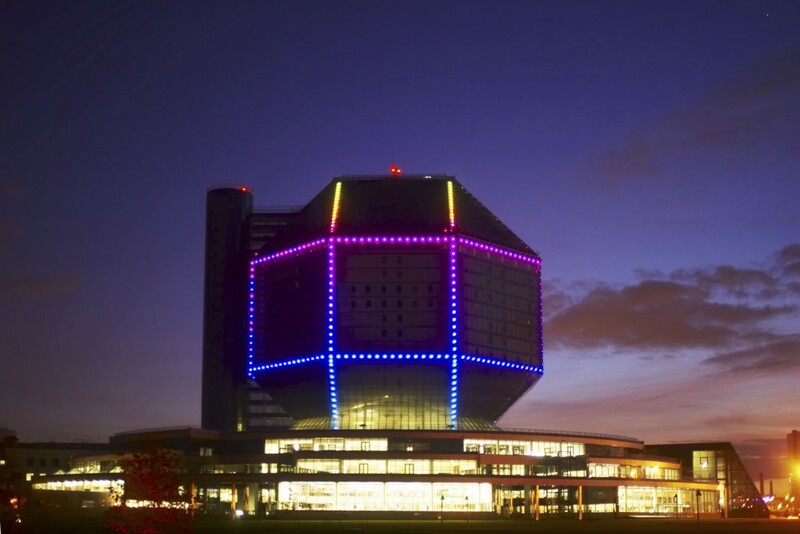 Its main architectural component has the shape of a rhombicuboctahedron. The library’s new building was designed by architects Mihail Vinogradov and Viktor Kramarenko and opened on 16 June 2006. The library has 22 floors, and the entire exterior is a light display, that can show a stunning variety of patterns. Traditional, it is not. But it’s not easily forgettable, which hopefully means it will be a great resource of people of Belarus. 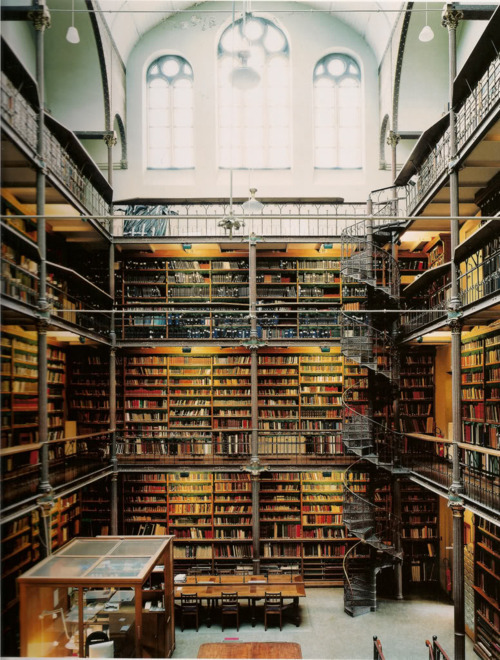 The Rijksmuseum Research Library is a private academic art history library whose purpose is preservation. It’s also a fantastically beautiful space, with stunning collections of priceless books, and an equally stunning architectural space. 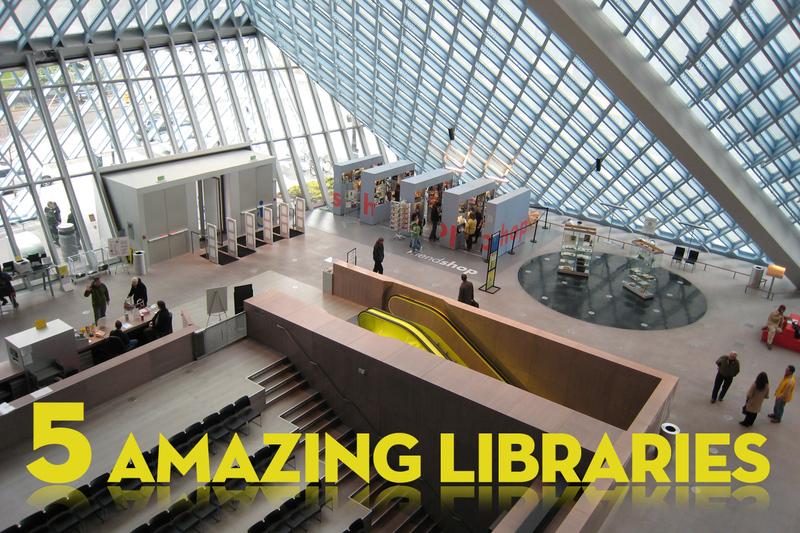 Look for the second installment of ‘Amazing Libraries’ in the coming weeks. 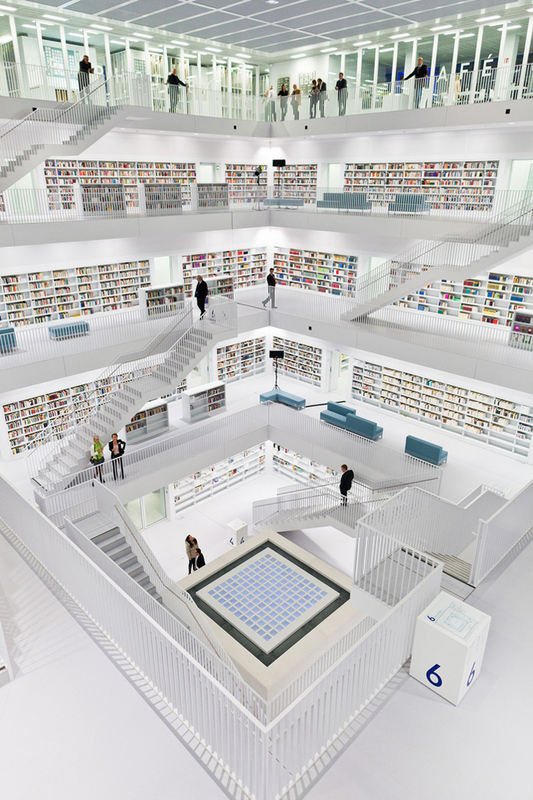 There are a wealth of brilliant libraries throughout the world, this is just the beginning. Thanks for the great post. I’m currently researching libraries as inspiration for our new Nature’s Library gallery at the Manchester Museum. We are looking to use that best of what libraries do and transfer it to a museum.